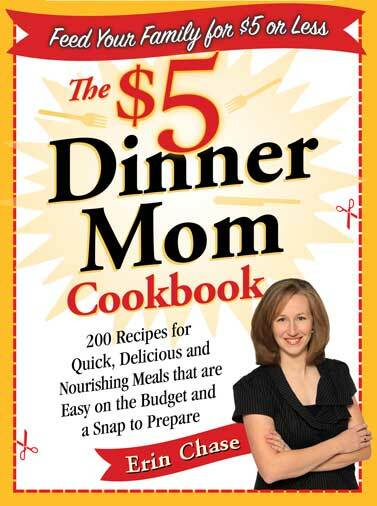 Congrats to the 5 winners of The $5 Dinner Mom Cookbook …and the $100 worth of groceries winner too! In case you haven’t heard…every month we give away 5 cookbooks to active subscribers…3 from the daily email subscriber list, and 2 from the Weekly Meal Plan subscriber list. You too can be entered to win one of my latest cookbooks by signing up for free email updates from $5 Dinners! You can sign up for the Daily $5 Dinners Email to be entered to win the $100 or 1 of 3 cookbooks, or the Weekly Meal Plan email to be entered to win 1 of 2 copies of the cookbook! Congrats again to each of you and thank you so much for your continued support of $5 Dinners!